I'm taking a break this week from the Virginia Readers' Choice picture books to highlight one of the chapter books on the elementary list. 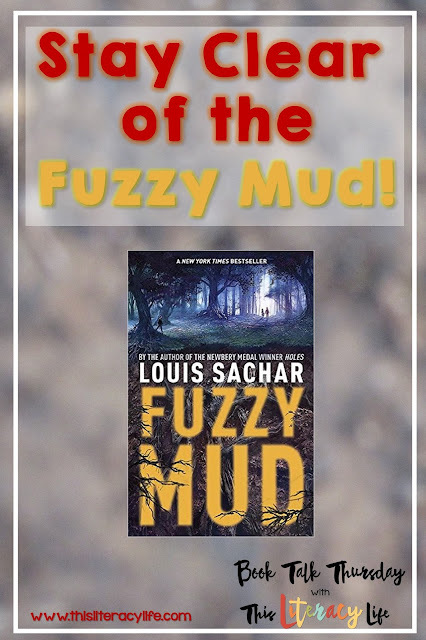 The first one I read is Fuzzy Mud by Louis Sachar. (Affiliate links provided to fund future book purchases.) In classic Sachar style, this book makes something unrealistic seem real. I stayed on the edge of my seat wanting to know what would happen next! Tamaya and Marshall walk home from school every day and have become friends who care about each other. But when Chad comes to the school and bullies Marshall, things begin to change. One day when Chad threatens Marshall, Tamaya and Marshall take a "shortcut" home, trying to get away. Tamaya picks up some mud to smear on Chad's face, and that is when the real story begins. Tamaya notices tingling right away, and then her hand blisters. The next day Chad isn't at school, and no one knows where he is. What happens when Tamaya and Marshall go looking for Chad and end up in more of the "fuzzy mud"? Throughout the story, we are debriefed on the work of the scientists at Sun Ray Farms. They have created a new microbe that can be used as a fuel. This important information helps the reader better understand what happens to the town of Heath Cliff. Other than being a fun book to read, students can really think about how the point of view changes as we hear the story and the Senate hearings. It gives students practice in understanding how writers create suspense and have different purposes for various reasons. Of course, there are many other skills in the book: inferences, cause and effect, and plot development. But figuring out why the author wrote the details like he did makes students think about the story in a deeper way. It also serves as an important lesson that all of this new technology may be good, but we have to be careful. If not, our world will fall apart! Great environmental impact, for sure! 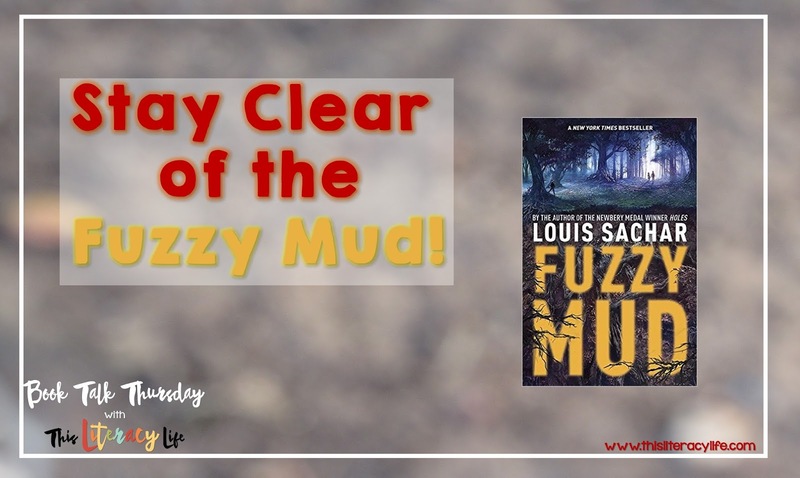 Fuzzy Mud by Louis Sachar is a thrilling mystery that will keep students (and adults) on the edge of their seats. It will keep everyone wondering, "Could this really happen?"